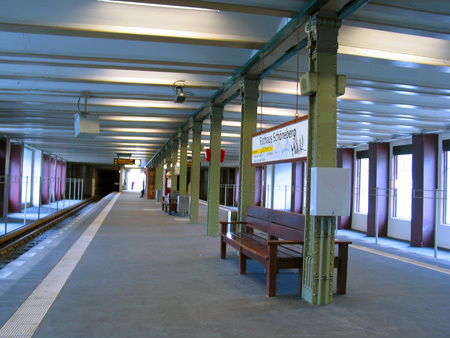 Small-profile line (mostly 2-car trains of A3 stock in service). 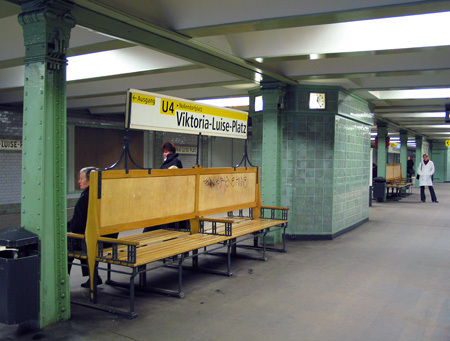 Line U4 was originally built by the city of Schöneberg as an isolated U-Bahn line, but to the same parameters used on the Berlin lines. 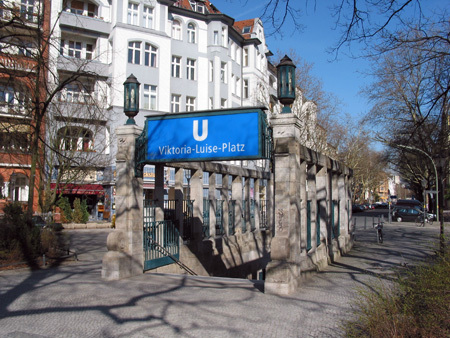 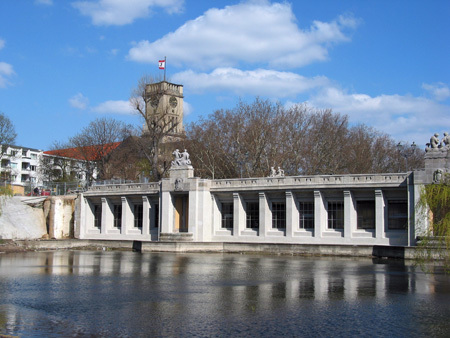 It was eventually connected to the Berlin small-profile system in 1926, when the station at Nollendorfplatz was rebuilt, and through operation on the route to Warschauer Straße was introduced. 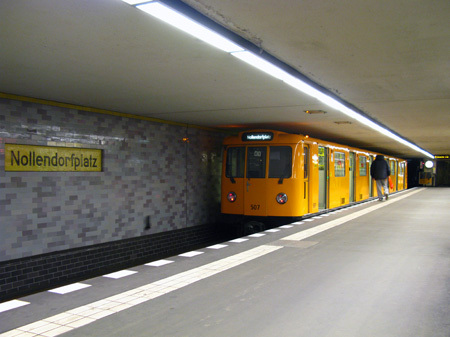 In the 1980s, driverless automatic operation was tested on line U4. 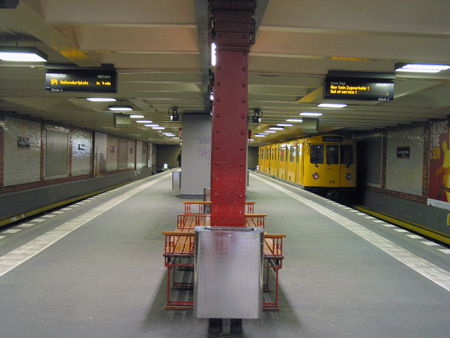 4-track double-deck underground station, with line U4 turning back on the southern track on the upper level. 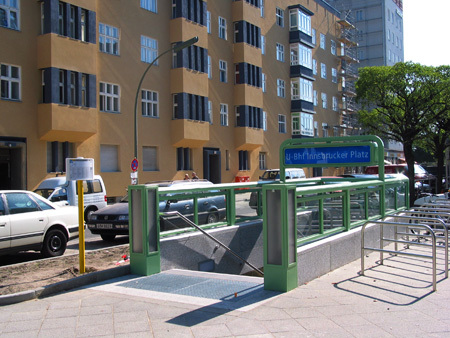 Station actually located on the surface in a park area, with glass walls on both sides and covered by a road (now without traffic). 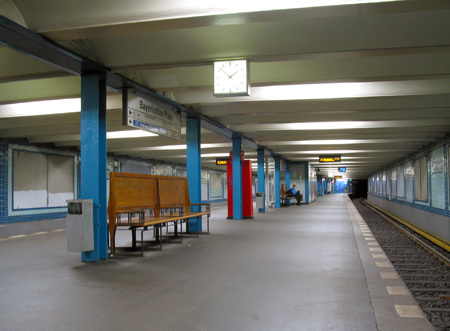 Stub end station, just below street level; previously connected to a depot.